After a three-year hiatus, Bring Your Own Queer IS BACK! That’s right! 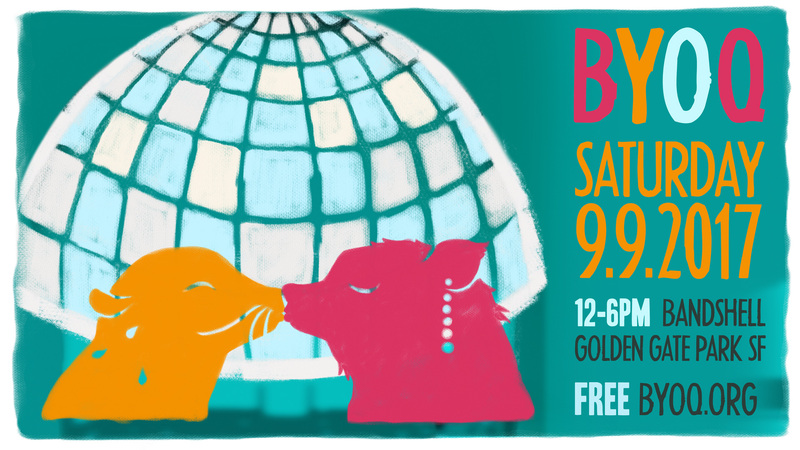 In Fall 2017, we’ll be hosting the BYOQ daytime queer arts festival in Golden Gate Park’s Bandshell featuring Bay Area performing, literary, visual and media artists! And in January, we’re also launching all new programs that bring queers together through art. Learn more about us and then check out our Facebook page for more info!